But this may be just for show, as lawmakers from Netanyahu’s Likud have already been forged close ties with the Freedom Party. •First published by The Electronic Intifada, 21 December 2017. When Britain turned Palestine into a "second Ireland"
I live near a shrine dedicated to the British military commander Bernard Montgomery. Located on a tree-lined avenue that leads to a triumphal arch, this statue of Montgomery in Brussels illustrates how some Europeans regard him as a hero for his role during World War II. In truth, Montgomery was a thug. That became clear when I read his handwritten notes in Britain’s national archives. During 1938, Montgomery took charge of an infantry division in Palestine. In that role, he helped suppress a major revolt. His advice – preserved in the aforementioned handwritten notes – was that Britain, then administering Palestine under a League of Nations mandate, should display little mercy. Those instructions were issued in a situation where Britain had been anything but fair. Soon after the revolt erupted in 1936, the British authorities demolished Jaffa’s Old City, leaving thousands of its residents homeless. That set a pattern whereby entire communities would be penalized for failing to obey their oppressors. The British, for example, categorized villages where rebels lived as hostile and were known to round up all of the men living in them. About 15 years before his time in Palestine, Montgomery had made similar comments about his experiences in Ireland. While Ireland’s War of Independence was being fought during the 1920s, Montgomery served as a brigade major in Cork. Upon request, he wrote a memorandum on his experiences for a senior British Army officer. “Shinner” is slang for someone connected to Sinn Féin, the Irish republican organization. Montgomery argued “that to win a war of this sort you must be ruthless,” adding, “Oliver Cromwell, or the Germans, would have settled it in a very short time.” Cromwell was an Englishman who led an invasion of Ireland during the 17th century. To the Irish, his name remains synonymous with massacres carried out by his troops. Montgomery arrived in Cork during January 1921. A few weeks earlier British forces had burned down more than 60 shops there, as well as the city hall and the main library. Around 2,000 jobs were lost as a consequence. A recent study by historians Andy Bielenberg and James Donnelly concludes that British forces resorted to a “crude strategy” in the Cork area. Mainly implemented in 1921, it involved the shooting dead of people who allegedly failed to stop when ordered by British forces. Seventeen civilians were killed because of that “strategy,” according to the two historians. One year later, the media boss Alfred Harmsworth – owner of mass circulation British papers like The Daily Mail and The Daily Mirror – paid a visit to Palestine. 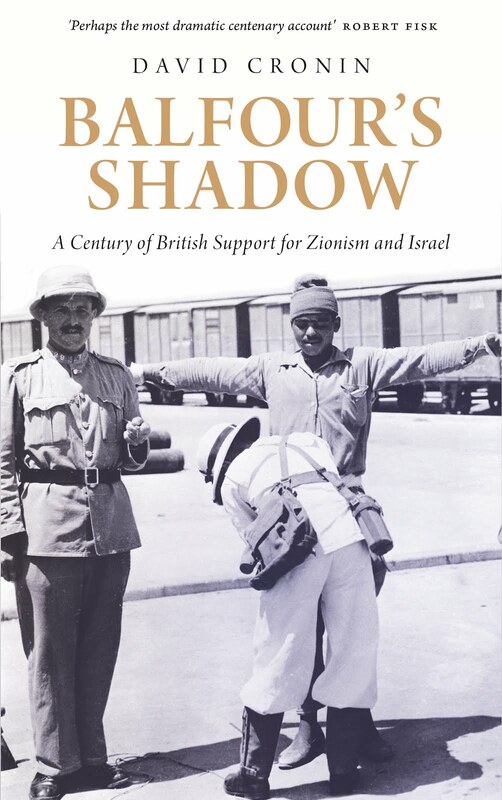 Despite being an archetypal establishment figure, Harmsworth – who died shortly after that trip – was shocked by the effects of British policy in Palestine. Harmsworth “declared that we were making a second Ireland of that country,” the journalist J.M.N. Jeffries wrote. A new edition of Jeffries’ 1939 book Palestine: The Reality was published this year. About eight decades may have passed since that 750-page tome was written, yet it remains painfully relevant. Both countries suffered the effects of settler-colonial projects, sponsored by the British authorities. Both were subjected to British brutality – often carried out by the same individuals. Montgomery was among many members of Britain’s “security” forces who were stationed in Ireland before being sent to Palestine. Montgomery’s advice on Palestine was not always accepted by Britain’s political elite. Two armed Zionist groups, the Irgun and the Lehi, came to regard Britain as an obstacle to the realization of their aims. In the 1940s, they waged a campaign of assassination and bombing against Britain’s diplomats and troops. By that time, Montgomery had been promoted to chief of imperial general staff in the British Army. Complaining that Britain had a “policy of appeasement” towards Zionist armed groups, he advocated that heavy force should be used against them. That advice was rejected by Alan Cunningham, the last British high commissioner for Palestine. Cunningham felt that Britain remained duty-bound to nurture the Zionist project. The episode says much about how Britain’s support for Zionism has endured against considerable odds. It underscores, too, the egregious double standards of the British authorities. An iron fist approach was applied towards the people they viewed as expendable; their protégés, by contrast, were treated with kid gloves. •First published by The Electronic Intifada, 15 December 2017.